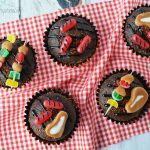 These adorable BBQ Grill Cupcakes will be the hit of any Father’s Day party or outdoor summer BBQ. 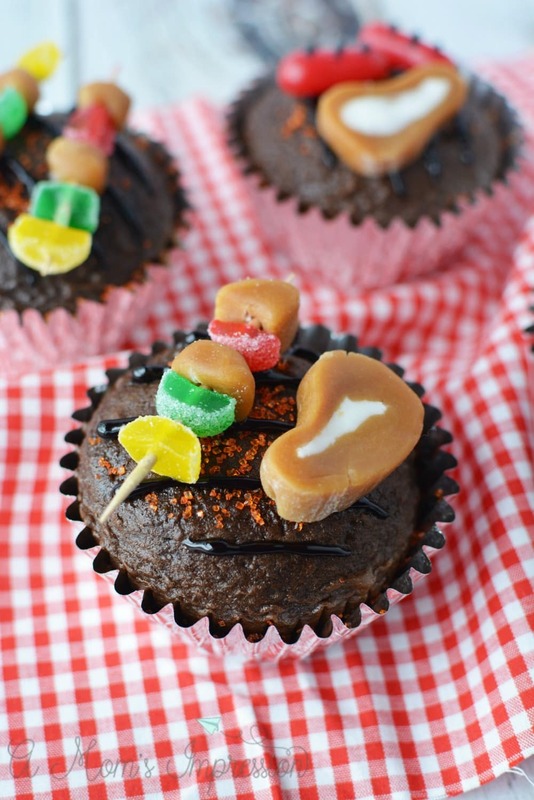 Made with brownies or chocolate cupcakes, these bbq cupcakes are easier to make than you might think. Get the easy step-by-step directions. We enjoy entertaining during the summer. Between birthdays, Father’s Day, and the warm weather we find many opportunities to invite friends and family over for a cookout. 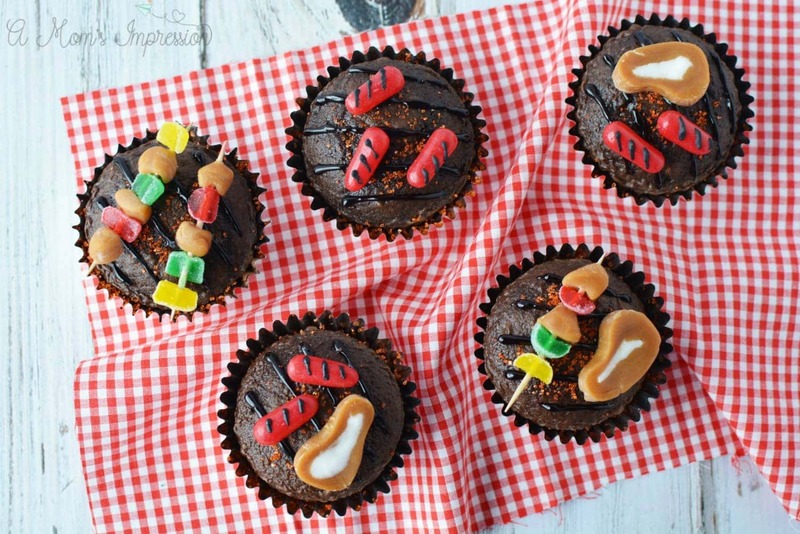 These grill cupcakes are perfect for any summer occasion. 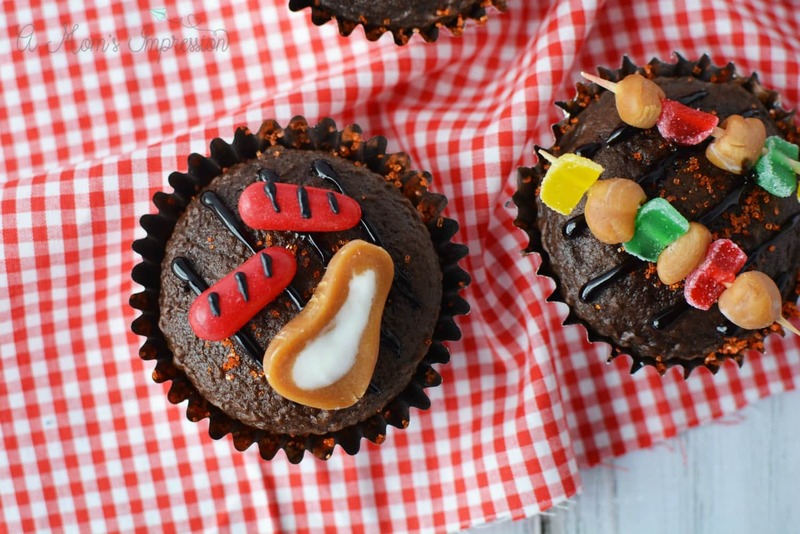 I have made these BBQ Grill Cupcakes as brownies and as chocolate cupcakes. Either way, they turn out yummy and everyone loves them! 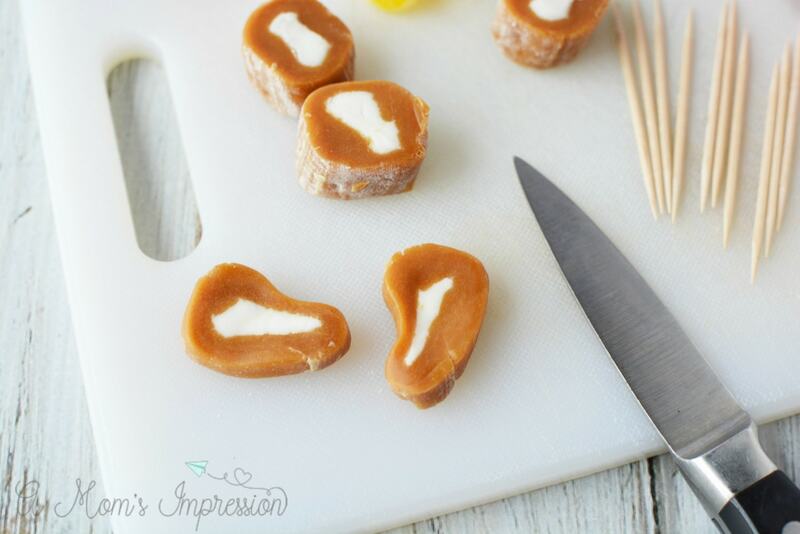 I found these in a magazine a few years ago and I just had to make them for Father’s Day, but they would be perfect for a summer BBQ or party as well! Making the candy food was my favorite part. I love turning food into unexpected things and this was a fun one! 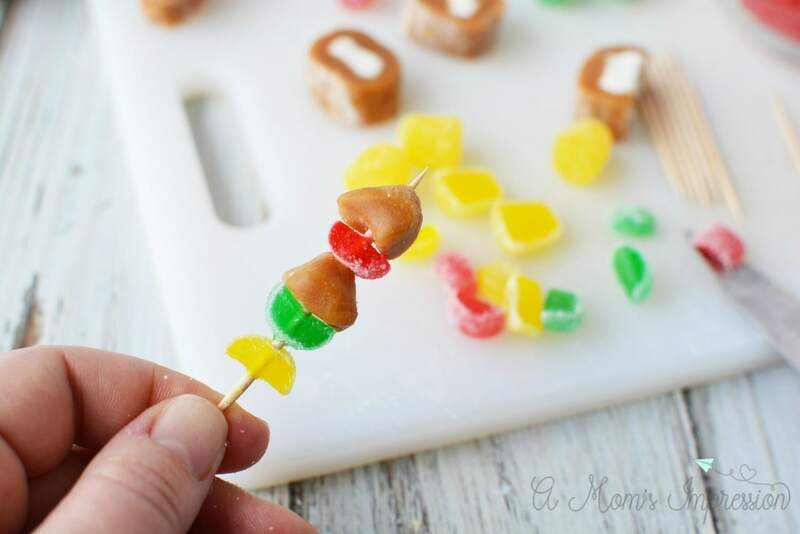 After making the caramel pork chops, hot dogs, and kabobs, I started thinking about all the other candy food I could make. 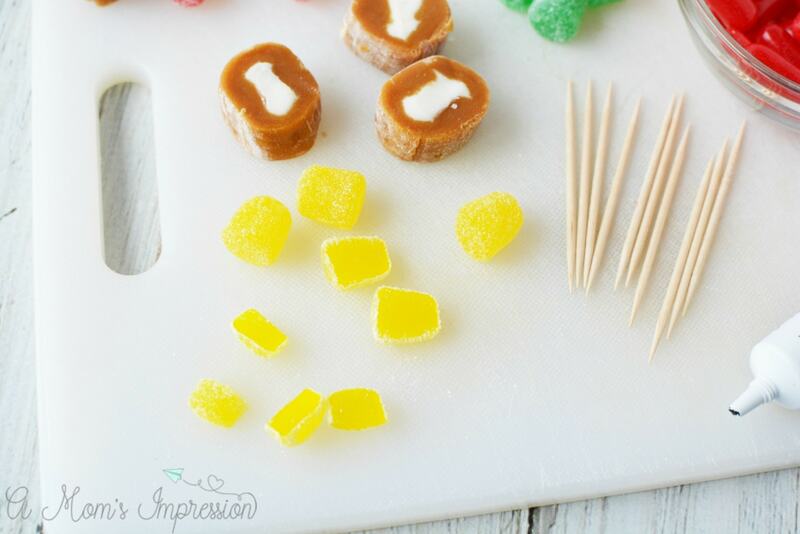 The caramels could be great hamburgers or cheeseburgers. You could get some gummy fish to put grill marks on. The ideas keep flowing! 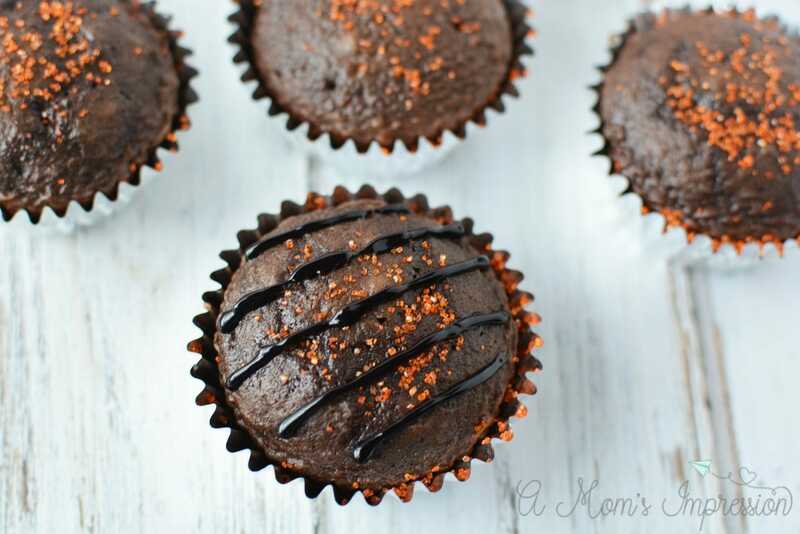 Place cupcake liners (I used the silver ones to help mimic a grill) in a cupcake pan, and fill them two-thirds full of your favorite brownie batter or chocolate cake batter. Bake according to the recipe directions. Sprinkle with orange decorators sugar and then let cool completely. 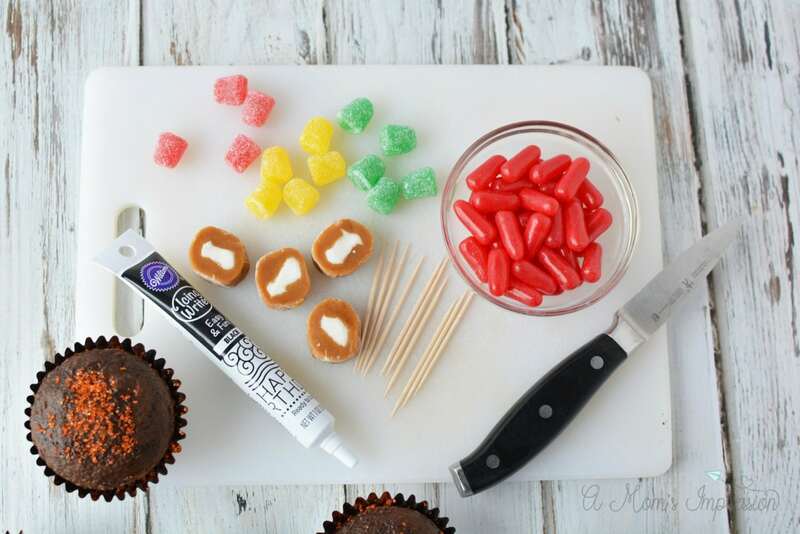 Attach a round size 3 tip onto your tube of black icing. Or you can simply put your black icing into a sandwich bag and snip off the corner. Pipe grate lines onto each brownie and let them sit for 20 minutes. I debated about using the Swedish fish on top as well, but my husband doesn’t ever grill out fish so I decided to leave them off, you can certainly add them if you would like to. 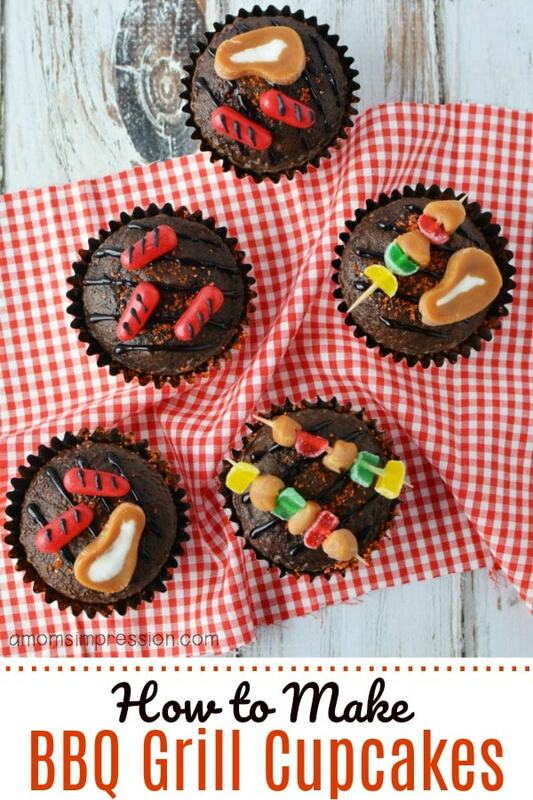 These adorable BBQ Themed Cupcakes would be perfect for cookouts, July 4th or for a special someone on their birthday. 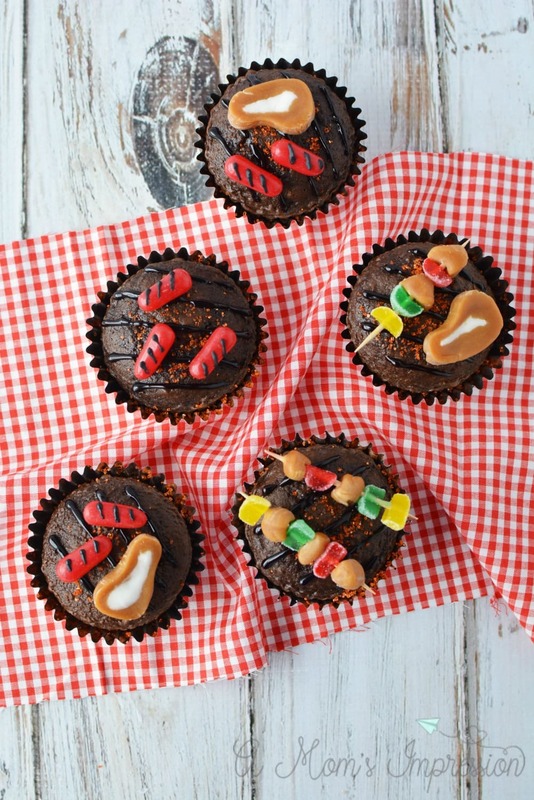 These adorable BBQ Grill Cupcakes will be the hit of any Father's Day party or outdoor summer BBQ. 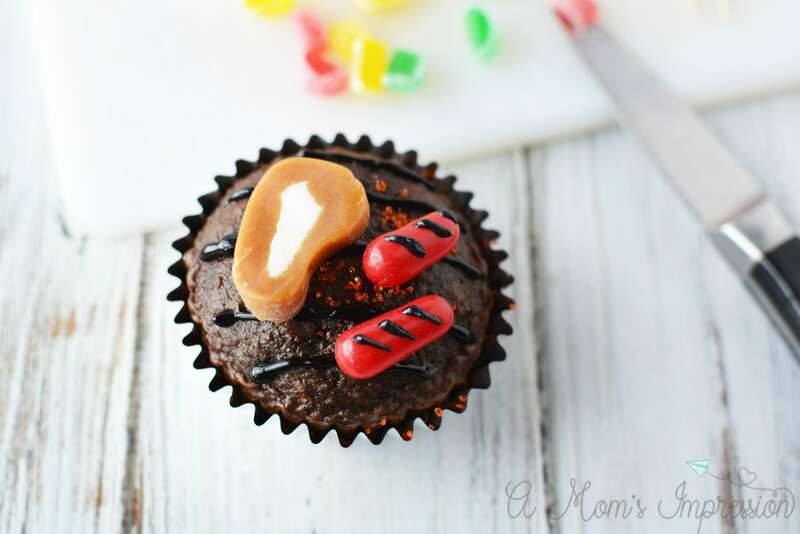 Made with brownies or chocolate cupcakes, these bbq cupcakes are easier to make than you might think. I debated about using the Swedish fish on top as well, but my husband doesn't ever grill out fish so I decided to leave them off, you can certainly add them if you would like to. Originally Published June 18, 2011. Last updated 4/3/18. Hey Kathy, what a great set of instructions for making those cute cupcakes. Thanks Louise, they were a lot of fun to make! Oh my gosh! Those are so stinking cute!!!! I might just have to try that! That is genius, they really look like they were grilled. I’ve never seen this idea before! I love it, so cute! Those came out super cute. I love those! I’ll have to try these later this summer! 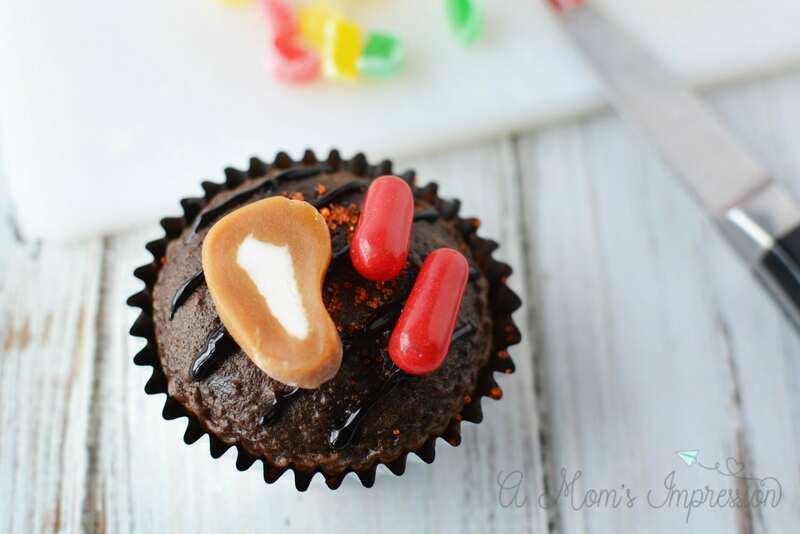 I always come across cute recipes like this when I am trying to watch my sugar intake. LOL They look SO GOOD! How cute they are! Gonna have to steal this idea for sure.